Born April 24, 1893, in Greenwich Village, NY. Bobbie, as he was known, was born into an Irish Catholic family and was one of nine children. He got a job as a helper/errand boy at the Biograph studios when he was 14 doing any sort of odd job required. When D.W. Griffith arrived at Biograph in 1908, he took a liking to Harron and soon began to use him in films, although he had served as an extra in a couple of films prior to Griffith's arrival. appeared in over 100 Biographs with all of Griffith's greatest stars - Mary Pickford in "The Lonely Villa" (1909) and "The New York Hat" (1912), Blanche Sweet in "The Battle" (1911), Mabel Normand in "The Diving Girl" (1911), Mae Marsh in "Man's Genesis" (1912) and "Sands 'O Dee" (1912), and Dorothy and Lillian Gish in "An Unseen Enemy" (1912) and "The Musketeers of Pig Alley" (1912). Actually, these are only a few examples because Harron made 15 films with Lillian Gish, five with Dorothy Gish, seven with Blanche Sweet and eight with Mary Pickford. He also was used prominently when Griffith switched to features and moved to Reliance-Majestic. 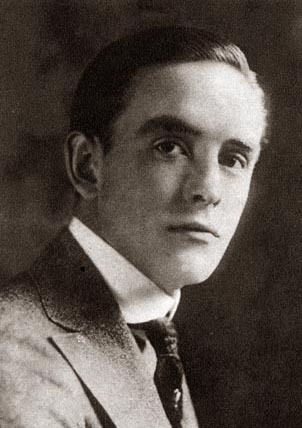 He was in Griffith's first feature, "Judith of Bethulia" (1914), and figured prominently in the director's greatest triumphs - "The Birth of a Nation" (1915), "Intolerance" (1916) and "Hearts of the World" (1918). When Griffith turned his attention to simpler stories, Bobbie was there. He was paired with Lillian Gish in "The Greatest Question" (1918), "The Greatest Thing in Life" (1918), "A Romance of Happy Valley" (1919) and "True Heart Susie" (1919). He and Clarine Seymour were young lovers in "The Girl Who Stayed at Home"(1919). Bobbie's popularity was such that he was wooed away from Griffith in 1920 by Metro - with Griffith's blessings, of course. As he was about to embark on this promising phase of his career, he went to New York in August, 1920, for the premiere of Griffith's "Way Down East." According to Lillian Gish, Bobbie had bought a gun from a man who needed money. Forgetting the gun was in his coat pocket, it fell to the floor and discharged piercing his chest and lung. He died a few days later on Sept. 5, 1920.